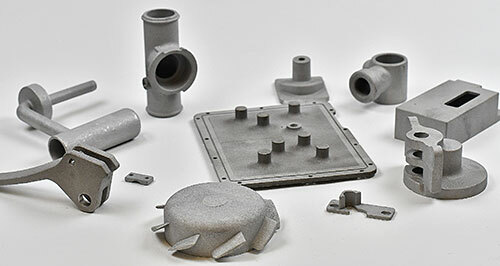 From concept to casting, we’ll help you translate your designs into durable, high-strength steel, aluminum, brass, or bronze parts, fast – usually within 6 weeks. In the process, you’ll get design flexibility unparalleled by any other manufacturing methods – eliminate machining, welding, and fabrication operations; choose from a range of over 100 alloys to obtain precisely the properties needed. Best of all, you’ll save – tooling and per-part costs are typically fractions of what you’d pay using any other processes. 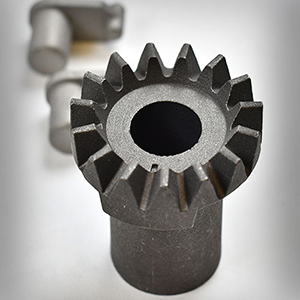 Investment castings are a fantastic way for Small to Medium-sized businesses to get affordable castings within a fleeting time frame. These steps create quality parts from start to finish. A toolmaker builds a precision aluminum die to make wax replicas of the part, called patterns. Molten wax is injected into the die cavity; the resulting pattern is removed after it solidifies. From one pattern to as many as two hundred are wax welded to a wax runner to form a cluster. The cluster is dipped repeatedly in liquid binder and ceramic powder to build up a shell mold. The mold is placed in an autoclave to melt out the wax, then in a furnace to harden and preheat it. Molten steel is poured into the heated mold and solidifies to form a cluster of castings. The mold material is removed from the cluster, and the parts are sawed off from the runner. The parts are finish-ground, deburred, and sent for secondary operations such as heat treating. Each part is inspected and shipped on time – guaranteed to meet your specifications.